It seems that survival io games are here to stay. 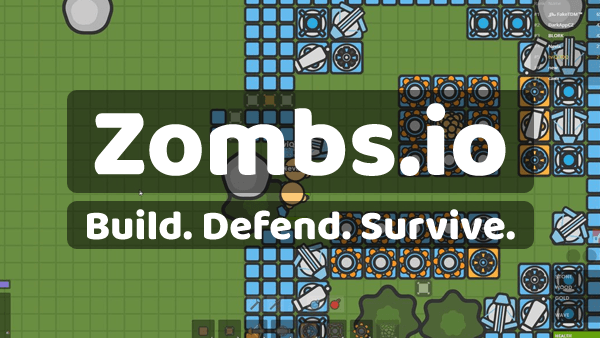 First, we saw the epic Moomoo.io, closely followed by Starve.io, then Glor.io and now we have Zombs.io. At first glance, you might think you are playing Moomoo.io. the graphics and general UI layout and extremely similar. Even the basic game idea is the same — collect resources to build a base. However, once you start playing, you see this game is in a class of its own. The goal of the game is to collect as much gold as you can. You do this by first finding an area of the map that you like, somewhere close to resources is always good. Then you place down your gold chest. From this point on the game gets a lot harder. You now have to protect your gold from zombies. Luckily, the resources you have been collecting can be used to build walls and towers. Towers that can house cannons and ballistas. To increase your gold, you need to build gold mines. And it is best to build them within the protection of your base. This game is extremely fast and fun. There are upgrades available for your defences, which make this io game feel like a tower defence game that merged with Moomoo.io. And one aspect of the game I really love is that everyone is your friend until you attack them. You can find a base and walk around it safely, the moment you attack that base, all the towers start shooting at you. What are Your Thoughts on Zombsio? Some people feel ver strongly about the game being a Moomoo.io clone, what do you think? Should the developer have been a little more creative, or is the dev being really clever in mimicking such a popular game? Would you like to see more survival io games or have we seen enough now, time for something new?